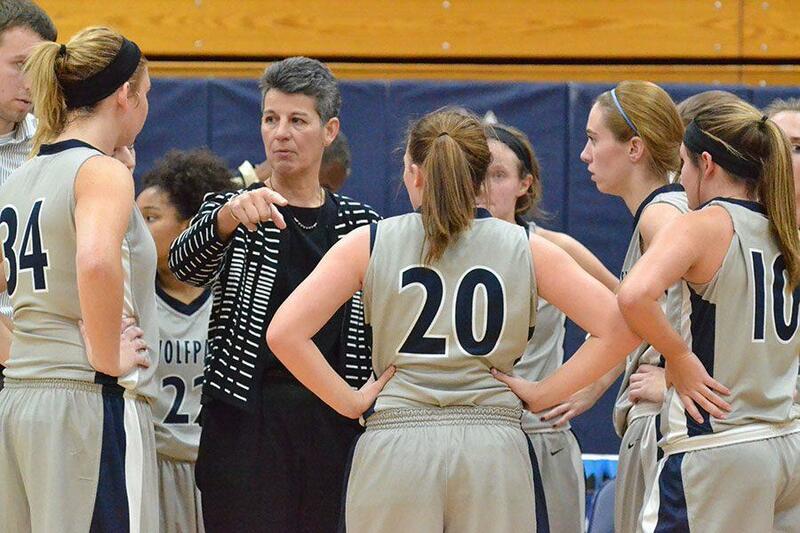 Madison College women’s basketball coach Lois Heeren directs her team during a time out against Fox Valley on Nov. 9. Five games into Lois Heeren’s tenure as the coach of the Madison College women’s basketball team, and it would be tough to imagine a better start. 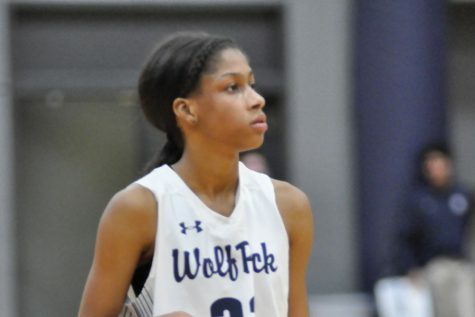 The WolfPack opened the season ranked fifth in the NJCAA Division 3 preseason poll and has done nothing but reinforce those lofty expectations. 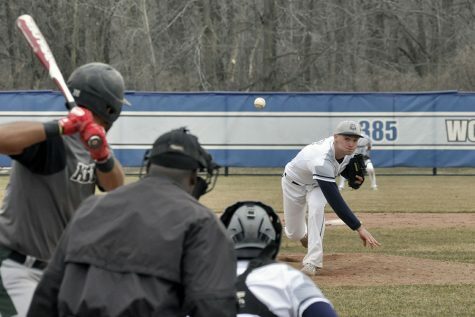 Madison College has raced off to a 5-0 start, including winning both of its games in the Anoka Ramsey Community College Tournament on Nov. 11-12. 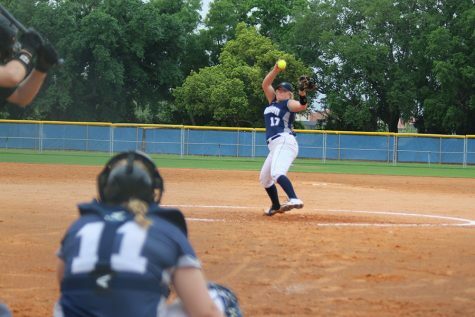 Sophomore Rachel Slaney has shown why she was selected as an All-American last year. She has led her team in scoring with 28 points or more in four of the five games it has played. Most recently, she had 28 points, eight rebounds and three assists in her team’s 76-66 victory over St. Cloud Technical College in the Anoka Ramsey tournament on Nov. 12. Cheyanne Udelhoven added 19 points and five rebounds, while Mackenzie Ripp added 10 points. Slaney had an even bigger game against tournament host Anoka Ramsey on Nov. 11. She scored a season-high 33 points and had 18 rebounds in her team’s 85-73 victory. Peyton Trapino had a good game as well, putting in 16 points on 7 of 8 shooting. Udelhoven was the only other player in double figures, netting 15 points. A dominant night offensively enabled Madison College to overwhelm Fox Valley Technical College, 90-60, at home on Nov. 9. The WolfPack raced to a 50-34 halftime lead and never looked back. Slaney led Madison College with 28 points on 11 of 14 shooting from the field. She hit two three pointers, was 4 of 5 on free throws and grabbed eight rebounds. In addition, Udelhoven scored 19 points and Megan Corcoran netted 11 for the WolfPack. Aggressively attacking the basket in the fourth quarter paid off for Madison College as the team rallied to a 67-64 victory over Highland Community College on Nov. 5. Madison College outscored Highland 16-10 in the fourth quarter to overcome a 54-51 deficit thanks mainly to the number of foul shots it generated in the game. The WolfPack finished 30 of 45 from the free throw line compared to 4 of 7 for Highland. Slaney led the way with 29 points, converting on 19 of 22 free throw attempts in the game. Peyton Trapino scored 13 points for Madison College and had a team-high eight rebounds. Udelhoven added 10 points and six rebounds. A fourth-quarter rally gave Madison College a 74-71 road victory over McHenry County College on Nov. 1. The WolfPack outscored its opponent, 23-13, in the final quarter to rally from a 48-41 deficit. Udelhoven led Madison College with 20 points, hitting a team-high four three-pointers. Macy Graf scored 18 points, while Trapino added 17. Jamie Falk rounded out the double-digit scorers with 11 points.